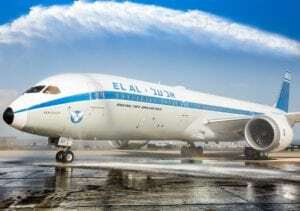 Israel-based El Al Airlines, which operates a fleet of over 40 aircraft, has been very progressive in its In-Flight Connectivity (IFC) strategy, working with Viasat to provide customers the best Wi-Fi services. Currently, the airline offers connectivity services on its 737 and 787 aircraft and plans to equip the rest of the fleet in the near future. EI AI Head of Entrepreneurship and Innovation Rafi Dabush tells Via Satellite that the airline perceives IFC as a wider concept than just offering it as an experience to the passengers while on board. This is one of the reasons why it chose Viasat as its IFC provider. “We are creating the infrastructure of using the connectivity technology as a holistic platform that improves the in-flight experience and other operational and maintenance processes. For example, we are developing a virtual flight attendant based on chatbot technology that passengers can ask questions from their own device and get answers instantly. Moreover, we are currently in the process of examining the transmission of the health of the aircraft during flights so the ground operations can be ready when the aircraft land with the right parts and engineers, and thus shortening the aircraft ground time,” says Dabush. By the end of 2020, El Al plans to have its entire fleet connected. In addition to this, the airline is also working on digitizing all things such as newspapers and magazines, and to be more efficient when it comes to areas of fuel consumption. El Al is taking steps to improve other areas of the in-flight experience. It has several initiatives involving online shopping, and will offer a virtual in-flight attendant to help passengers. The market for IFC is no longer the shiny new thing and now most airlines have some kind of IFC strategy in place. So, what has El Al learned about the market so far? “Looking at the European and Middle-Eastern market, several airlines charge the passengers based on either data usage or duration of use — for a high price,” Dabush says. “We decided to take a much more direct and simpler approach by letting passengers use the service throughout the entire duration of the flight without any limitation of data usage or time. Moreover, there are still technological gaps in terms of the bandwidth speed, which is what currently differentiate the satellite IFC providers from one another.” Dabush says the market still has a long way to go to gain even more traction. “As of today, there are only 6,000 commercial aircraft with a connectivity system, which is 25 percent of commercial aircraft all over the world. Out of the 6,000, 5,000 of them are based in North America. This shows the slow penetration the aviation industry has experienced especially in Europe, Australia-Pacific, Asia, and the Middle East. However, we are happy that El Al is one of the early adopters providing this service to our passengers,” he adds. Like most airlines, El Al is looking to go beyond just the passenger experience for Wi-Fi services. Dabush admits the airlines will use IFC as a platform for analyzing data, and improving and optimizing other key operational processes before, during, and after the aircraft has landed. When asked about the potential threat that El Al faces on the cyber side, Dabush says while El Al is definitely aware of these threats and believes it benefits from being located in Israel where a number of top cybersecurity companies are based. “We are in constant communication with our satellite service provider and cybersecurity experts to ensure that the network is extremely secured at all times,” Dabush adds. The IFC market is undergoing a period of change as more airlines get their fleets connected. In terms of how the market is going to develop, Dabush says we are already witnessing an increase in the number of aircraft that are equipped with connectivity systems, and he believes this number is only going to grow in the upcoming years. “Furthermore, more airlines will equip their fleets with reliable and high-speed bandwidth IFC systems, and we will witness an impact on the IFC service providers, with airlines shifting from traditional IFC systems to allowing passengers to consume content over the Internet. This will change the approach of how the IFC providers as well as the studios price their services and will allow airlines to provide a wider variety and more personalized content to their passengers. To conclude, a successful year for El Al will be providing a high-bandwidth and reliable service to each individual passenger,” he adds. The post El Al Exec Paints Positive Picture For IFC appeared first on Via Satellite.